The French Riviera combines picture perfect villages with glamourous nightlife and world class shopping and stunning beaches with wild islands. 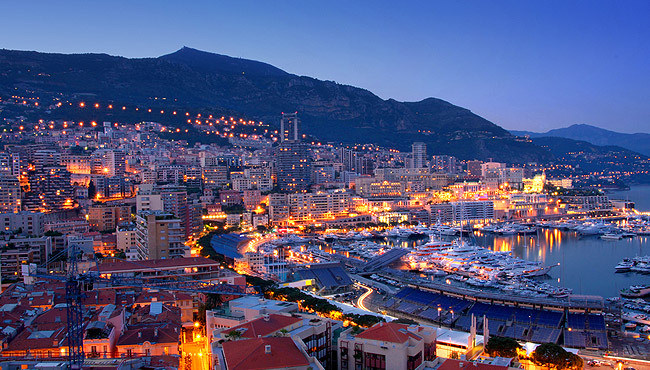 This example French Riviera yacht charter itinerary takes in the highlights of this iconic coastline over 8 DAYs. 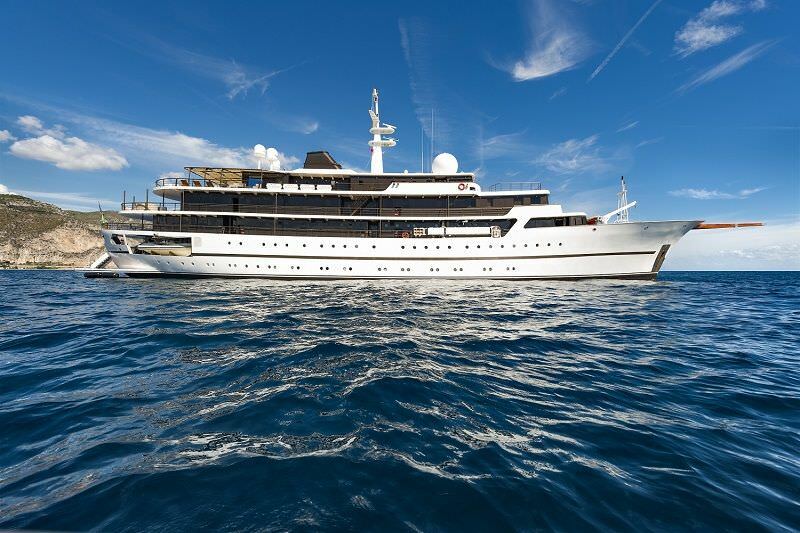 Itineraries are created individually for every client based on how you want to spend your time onboard. 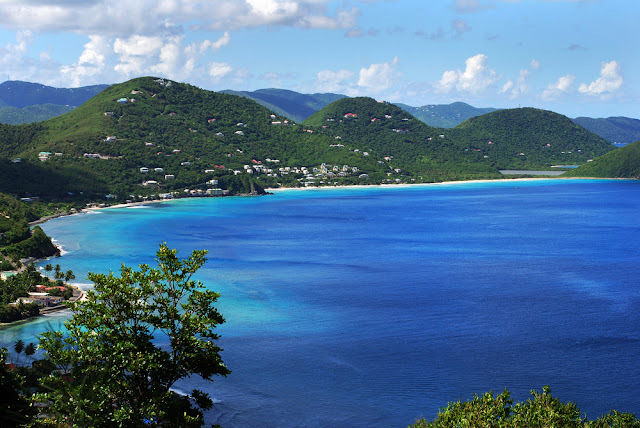 Day 1: Join your charter yacht in Soper’s Hole, Tortola and set sail for an easy reach to the Bight at Norman Island. Enjoy a tropical lunch and then dinghy to the caves for a snorkel. Have an evening cocktail at the famous "William Thornton," a floating bar and restaurant. Overnight. Day 2: Wake early and leave for "The Indians" for an early morning swim or snorkel and continue to "Deadman’s Bay", Peter Island, for lunch. Then, sail to Salt Island, where certified divers will want to explore the "Wreck of the Rhone", which was lost in an 1867 hurricane. Then, it’s a short sail to Cooper Island to overnight. Day 3: Make your way towards "The Baths" on the southern tip of Virgin Gorda where huge boulders mass together along the shoreline. Large caves and walkways with magnificent rock pools take you through to Devil’s Bay. Sail up to the North Sound to the home of the Bitter End Yacht Club. It’s a short dingy ride to Eustatia Reef for a snorkel where the seabed is littered with old cannons and anchors from galleons wrecked on the reef in years gone by. Day 4: Sail to Great Camanoe Island. Take a short walk through the huge aloe plants to Cam Bay and see lizards and hermit crabs. The snorkeling here is excellent, with schools of colorful tropical fish and a variety of coral. 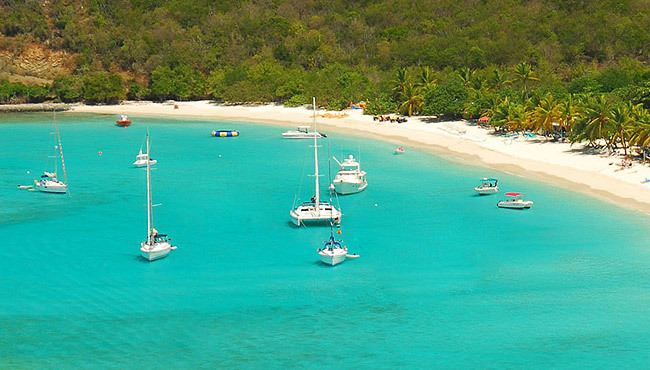 At sunset, sail to Cane Garden Bay on the northern side of Tortola and enjoy live music in one of the many beach bars. Day 5: After breakfast sail over to Green Cay for snorkeling off Sandy Spit. This is a tiny, tropical, sandy island - a must see! 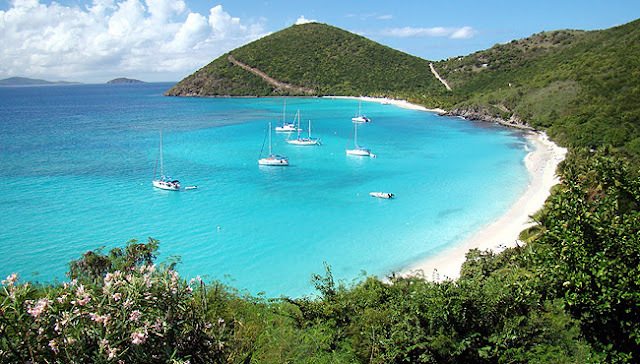 Move onto Jost van Dyke in the afternoon and anchor in Great Harbor. Visit Foxy's Bar to meet the world famous Foxy, who often plays Calypso music for his guests. Day 6: Awake for a swim in White Bay. Then, set sail for West End, Tortola, the home port of Pussers Rum. Ashore is a cluster of fanciful pastel West Indian buildings, known as Sopers Hole Wharf. This houses some terrific boutiques and craft shops including Pussers Landing Restaurant and Company Store. Around the anchorage is a mix of old classic brigantines, square-riggers and modern sailing boats. Overnight. 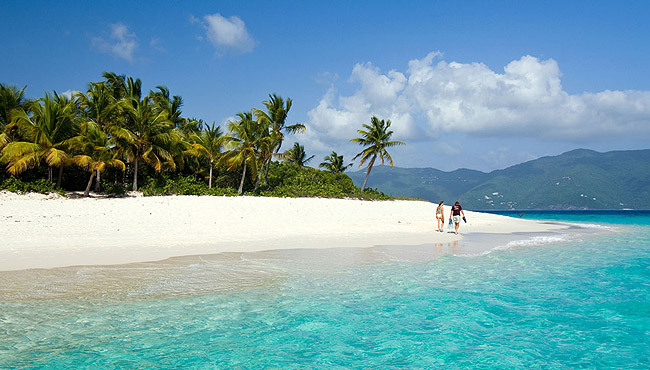 Day 7: Disembark at Soper’s Hole, West End to complete your BVI yacht charter. Royalty Yachts will provide each client their ideal BVI yacht charter experience to satisfy all their expectations. Greece is a year round destination for sailing and autumn is perhaps the best time to take advantage of its beauty, especially in the Saronic Gulf, with its calm waters and mild weather conditions. Sheltered by Attica’s mainland, the region is a superb yachting destination, boasting a scattering of picturesque islands as well as coastal attractions. 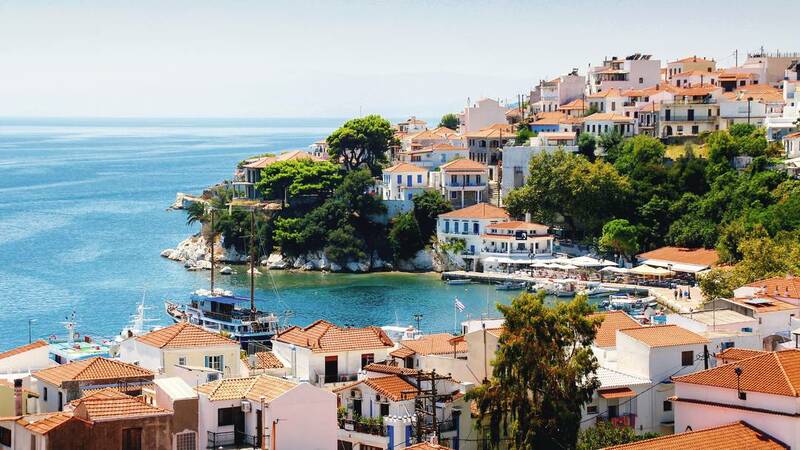 Set your compass straight for Hydra, a jewel in the sparkling Saronic. As you approach this quintessential little Greek island, just one hour away from Athens, you will fall in love with its terracotta-tiled mansions and dwellings which spread amphitheatrically from the harbour and upwards. The picturesque cobbled streets and deep blue waters surrounding this cosmopolitan, car-free haven drew celebrities such as Leonard Cohen, Melina Mercouri and Sophia Loren. On arriving in its scenic port, you will understand why. Quite simply, don’t miss Hydra! A cosmopolitan island of stately mansions and pine-clad beaches, yachts can drop anchor in the natural harbour and old port of Baltiza. The island’s traditional boatyards are located at this picture-postcard spot. Don’t miss the Bouboulina's Museum to learn about the female naval commander! Easily reached, this historic city sits on the southern Peloponnese coast and is an attractive place to visit because of its UNESCO amphitheatre, where you can literally ‘hear a pin drop’ due to its pristine acoustics. Moor at Palaia Epidavros and enjoy the serenity of the surrounding mountains and the lush greenery. Don’t miss the healing sanctuary of Asclepius! Visible from Athens, this once volcanic island lies just 12 nautical miles away. The town has retained its old world charm with quaint narrow alleyways and its lively harbour. South of the island, the old quays of its ancient commercial harbour are still visible under water. Don’t miss a visit to the archaic Temple of Aphaia, with its superb views of the Saronic Gulf. To the west of Aegina, this fishing village has a small, deep harbour, making it a perfect mooring spot. A popular spa town due to its hot springs, the landscape is forged from several volcanic eruptions, making it a fascinating destination. Don’t miss a visit to the ruins of an ancient acropolis in Paleokastro village. Only 19 nautical miles away from Athens, moor your yacht in azure waters and enjoy the pine-tree bays of this tiny island. A refuge for various species of birds, it is a small paradise in the Saronic Gulf, with a population of less than 1,000 inhabitants. Visit its serene beaches and superb diving spots. Don’t miss the 1812 windmill at Megalochori. With an amphitheatre town built on two hills, Poros is a splendid island which was actually two until a volcanic eruption changed its morphology. Crystalline beaches and lush vegetation compete with the picturesque buildings offering a wonderful haven that also has a lot of archaeological interest. Don’t miss the Lemon Forest with more than 30,000 lemon and orange trees! 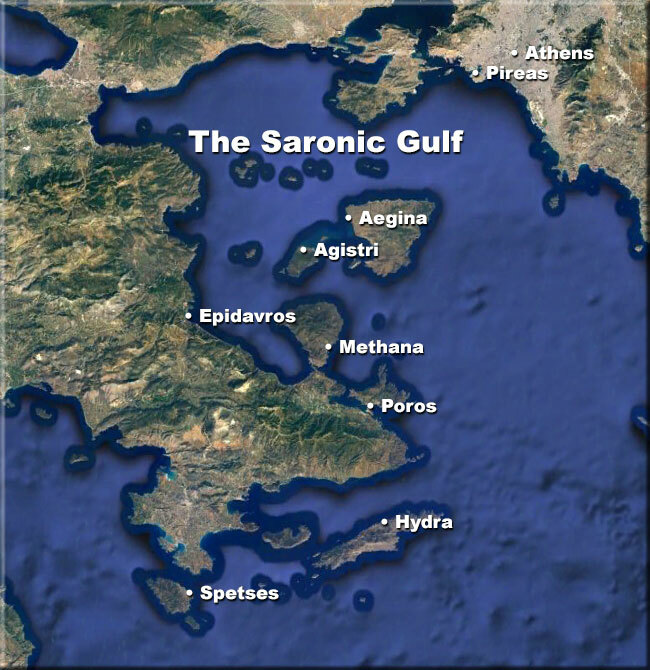 There is no better way to explore the astonishing Saronic Golf islands in Greece than on a private yacht charter. 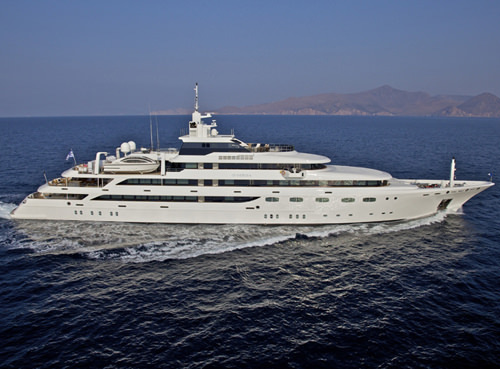 Royalty Yachts offer a great selection of private luxury yachts for charter as Greece is such a popular destination. Options include motor yachts, catamarans and sailing yachts that will surpass all your expectations. The 2017 Abu Dhabi Grand Prix is a Formula One motor race scheduled to be held on 26 November 2017 at the Yas Marina Circuit in Abu Dhabi, United Arab Emirates. The FORMULA 1 ABU DHABI GRAND PRIX is the most glamorous weekend of the year, it remains the biggest international event in the capital city Abu Dhabi of the United Arab Emirates. This twilight race at the 5.55-kilometre Yas Marina Circuit has a truly magical atmosphere as the powerful lighting ensuring a seamless transition from day to night. It was also the first F1 twighlight race and the fact the race is the last of the season makes it all the more exciting and fitting finale to what has been a great year for F1. Located on the spectacular Yas Island, the Yas Marina Circuit is a shining example of modern Formula One circuit design by renowned circuit architect Hermann Tilke. The circuit boasts top speeds of 325 km/h and average speeds of 190km/h. Yas Marina has a scenic waterfront setting with the track wrapping itself around the island's glamorous marina with plenty of mooring space for luxury yachts. The Sporades are a cluster of eleven islands in the north Aegean of Greece which boast a myriad of easy moorings, crystalline bays and mesmerising landscapes. The four inhabited islands in the group; Skopelos, Skyros, Alonnisos and Skiathos, are prime hubs for yachting enthusiasts because of their picturesque charm, natural beauty and abundance of coastal coves. Reaching the area via the straits of Evia, the Sporades are also a great springboard from which to explore the northeastern territory of the Aegean with the largest marinas in the area; those of Aretsou in Thessaloniki, Porto Sani in Halkidiki and Porto Karras. Ideal for yachting enthusiasts because of the playful Meltemi wind throughout the summer, the region provides challenging but exhilarating sailing conditions with sheltered seas on the southern island coasts. Skiathos is the main harbour from which to explore the waters surrounding the other islands while enjoying the stunning emerald sea and its inviting golden beaches. A popular destination for snorkellers and divers, the Sporades are also home to the endangered Mediterranean Monk Seal and the National Marine Park of Alonnisos. The best kept Sporadic secrets for the ultimate yachting experience include the islet of Kyra Panagia or ‘Pelagos’, with its inhabitants of goats and a handful of monks. Two small inlets provide the perfect anchorage for a tranquil stay over. About eighteen nautical miles from Alonnisos lies the southerly island of Skantzoura, a paradise for those seeking aquamarine coves and complete escapism. Peristeri, also known as Aspro or Xero, is a dry, uninhabited islet with a safe harbour for mooring once you have explored its exquisite little bays and beaches. Enjoying lovely warm summers and temperatures reaching up to 35°C in July and August, the Sporades in Greece are also ideal for cruising in May or October, when the average temperature ranges from 23-25°C. In fact, the region is a superb destination for all seasons! 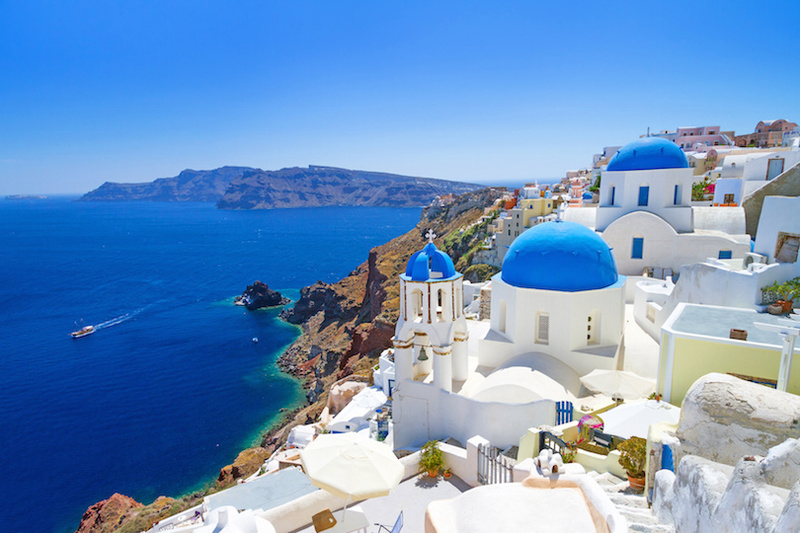 There is no better way to explore the astonishing Greece islands than on a private yacht charter. Royalty Yachts offer a great selection of private luxury yachts for charter as Greece is such a popular destination. 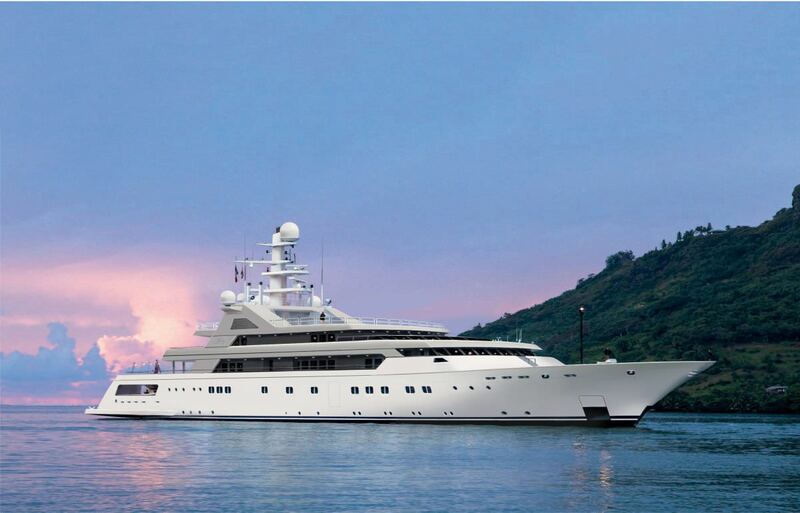 Options include motor yachts, catamarans and sailing yachts that will surpass all your expectations. 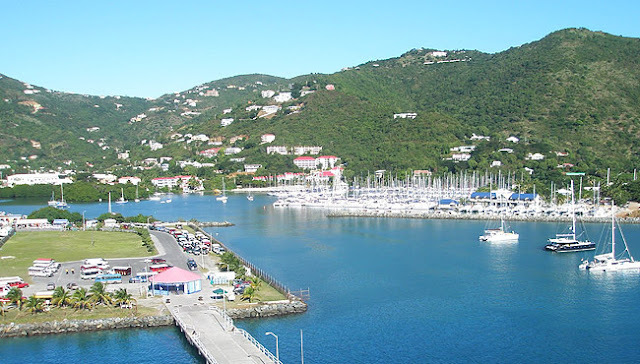 Today, the BVI (British Virgin Islands) are as popular with yachties as they once were with the Caribbean pirates of the sixteenth and seventeenth centuries, and for many of the same reasons. Sailors are spoilt by the vast choice of hidden bays and sheltered coves and with safe anchorages and, with most places only accessible from the sea, a yacht is essential. The BVI's tiny population of 19,000 is spread around only 15 of the islands, leaving the rest uninhabited and untouched by industry. A coral island which lies about 15 miles to the north east of the main archipelago, the rest were once volcanic; the result is a varied and often dramatic landscape with many unusual rock formations and caves with the exception of Anegada. BVI Yacht charters have risen greatly in popularity as a holiday activity and add to the excitement of a sunshine that is perfect. A charter that is crewed provided with an experienced crew to sail the yacht for you and provide other services like cooking, cleaning and serving the guests. The size of the crew depends on the size of the yacht but will include a skipper, a chef and a hostess to make your stay on the yacht as pleasurable as possible. This is the perfect option if you are an experienced sailor, or someone else in the family is a skipper that is qualified. This option gives you complete freedom you want and when you feel like it as you can explore the destinations. 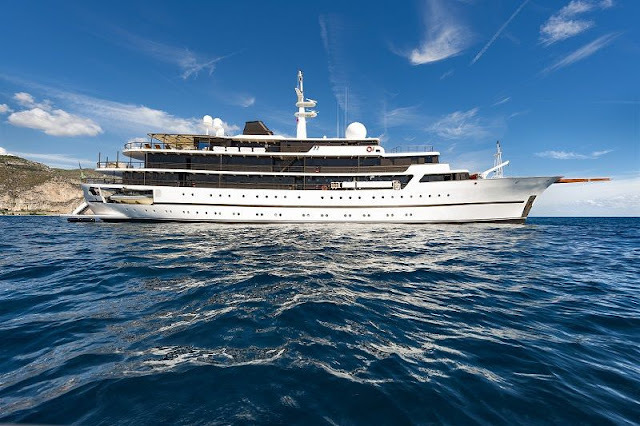 It is a much cheaper option than a charter that is crewed gives you much more flexibility to do what you like. Royalty Yachts always provides professional personal attention to each and every customer with exceptional customer service. With their experience in uniquely identifying a hand-picked vessel from a worldwide fleet of yachts, Royalty Yachts will provide each client their ideal yacht charter experience to satisfy all their expectations. The 39 islands of the Cyclades are spread around the Aegean to the south-east of the mainland with sacred Delos as their central point of reference. Although only 24 of them are inhabited, each one has its own identity, history, traditions and landscape that is unique. 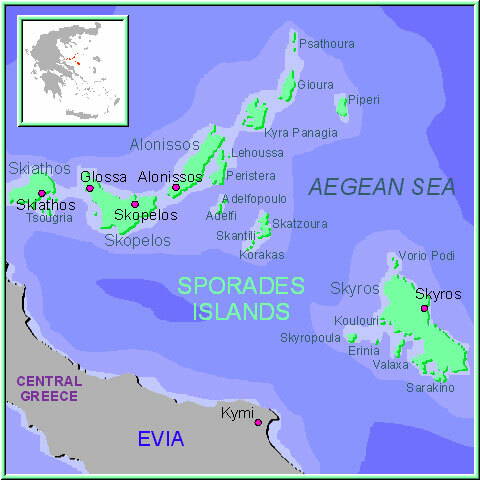 The most well known isles are Santorini, Mykonos, Amorgos, Anafi, Andros, Antiparos, Delos, Ios, Kea, Kimolos, Kythnos, Milos, Naxos, Paros, Folegandros, Serifos, Sifnos, Sikinos, Syros, Tinos and Thira. Each island you visit will undoubtedly have that typical Cycladic architecture of little whitewashed houses and fishing that is small and once you are in the region, it is very easy to hop from one island to the other due to their relative proximities. 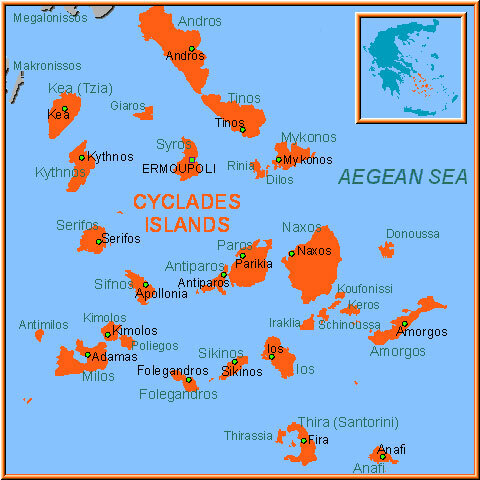 The Cyclades are quite exposed in the Aegean Sea to the ‘Meltemi’ that is notorious which dominates the area, especially in the summer months. It can reach 7 Beaufort and last for a couple of days, but there are a multitude of small protected bays on most of the islands providing harbour that is safe. Best left to experienced seamen, the Cyclades are an invigorating sail for those seeking a excitement that is little. The crystalline waters of the Aegean and the marine that is rich make for truly pleasurable sailing with an abundance of beaches approachable only by boat offering small pieces of paradise to all who visit. Beginning from the north-west, Kea is close to the Attica coast and hence is a hub that is busy weekends for local motor yachts. Kithnos lies just to the south of Kea and is famous for its cheese while its neighbour, Serifos, is well known for being the island of Perseus. 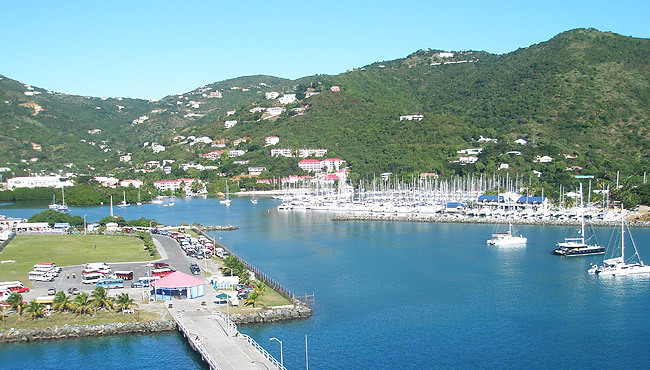 The spectacular bay of the main port is an often crowded but mooring location that is beautiful. 9 miles on lies Sifnos, with its large bay that is sheltered its beautiful fishing village at Vathi. Milos, like the more Santorini that is famous a volcanic island of startling landscapes and beaches surrounded by pumice and basalt cliffs with several hot springs. Paros and Antiparos are graphic yachting favourites, while Mykonos, attracts visitors for its night that is fervent life. The Cyclades enjoy mild winters and summer that is fresh with little rainfall. The period that is hottest is from July to August. The sea temperature averages 23°C, perfect for those who enjoy a dive that is refreshing the air temperature can reach up to 27°C degrees.